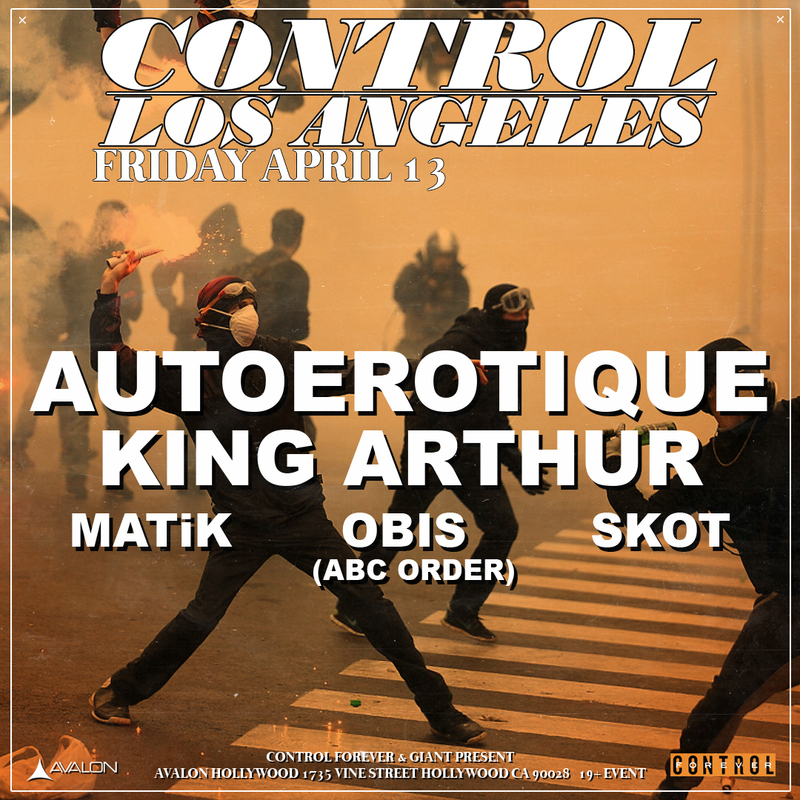 Returning to Control is AutoErotique and King Arthur on April 13th with the support of local residents of Matik, Obis, and Skot. AutoErotique started as a local Toronto favorite, quickly turning into an international phenom. AutoErotique provoked some legendary supporters like Tiesto, Diplo, and Benny Benassi after officially signing with Dim Mak for their self-proclaimed ‘lazer funk’ sound. The two life long friends, Dave Henderson and Keith Robertson joined forces as AutoErotique with a fascination of underground electronic music. One of their first remixes ‘Umbrella’ by Rihanna caught the ears of Diplo, who later collaborated with the duo on one of their hit records ‘Waist Time.’ With high profile collaborations and a unique sound, the duo remains busy performing internationally at notable festivals, and clubs. The visionary and innovative DJ King Arthur returns to AVALON with his dramatic presence. Besides being known for his theatrical entrance on decks, he centers his music on Electro, Dubstep, and House blending all elements miraculously. He provides a balanced combative take in his performances that encourage the uncontrollable headnod.